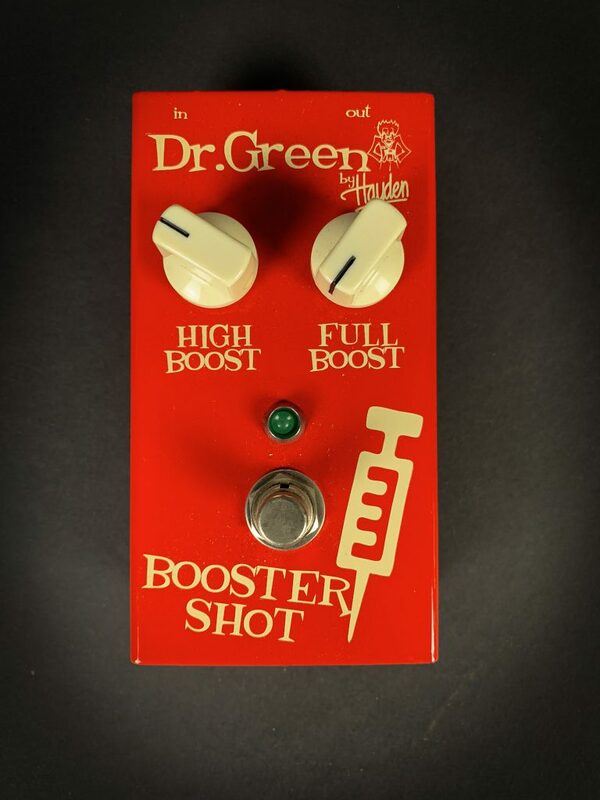 Straight from Dr Greens surgery the Booster Shot is the ultimate guitar boost pedal. Conceived and designed in the UK this pedal allows the player to add both high end boost as well as full signal boost. Allowing the player to fine tune their tone, the pedal is perfect for screaming leads that cut through as well as driving the front end of an amplifier from clean/light break up into a raunchy overdrive whilst maintaining the characteristics of the guitar and amplifier being used. The pedal also features true bypass switching and is housed in a custom designed steel casing that will stand up to being stomped on night after night.